Then, there aren’t that many hate crimes reported. In 2000 there were 9,924 victims and in 2014 that number had fallen to only 6,727 victims. Also, hate crimes based on religion are a small proportion of the whole. In 2014 nearly half (47%) of hate crimes in the US were based on race, and African-Americans are the majority (62.7%) of the victims of those crimes. That is, 29% of all hate crimes are directed against African-Americans, who are 12% of the population nationally. It would be interesting to know if any anti-Muslim hate crimes take the form primarily of racial hatred against Arabs, South Asians, African-American Muslims or white Muslims (viewed as quislings by racists?). But Arabs are not a category and I presume are being counted as white (22% of hate crimes are directed against this group), and South Asians in the US are counted as Asians (6.2% of hate crimes are directed at them and they are 5% of the population nationally). 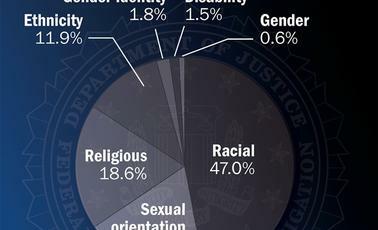 Only 18.6% of hate crimes in 2014 were based on religion. This proportion has been stable since 2000, when 18.6% of hate crimes were based on religion. Religious Hate Crimes by targeted community in 2014. So here’s the thing. Both in 2000 and in 2014, the most frequent victims of religious hate crimes were Jews. In 2000 hatred for them accounted for 75% of incidents. 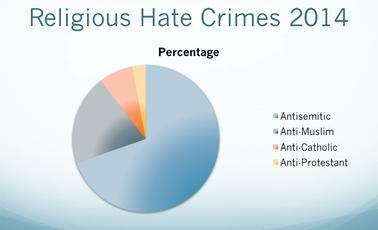 In 2013, 60 percent of religious hate crimes were motivated by anti-Jewish bias. In 2014, they accounted for 56.8 percent of the victims of religious hate crimes. What we can see is a welcome decline in the proportion of hate crimes directed against Jews, though of course it is way too high given that they are less than two percent of the American population. In 2000, both anti-Catholic and anti-Protestant hate crimes ran at about 3.8 percent of religious crimes of bias, respectively. 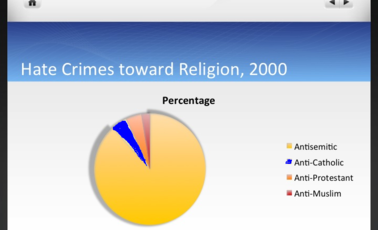 But in 2000, anti-Muslim hate crimes came in at only 1.9% of this category. In 2013, the percentage of hate crimes directed at Catholics was up to 6%, that is, they increased by about a third, and this was true in 2014, as well. The percentage accounted for by anti-Protestant feeling remained the same in 2013, at about 3.8 percent, but in 2014 it actually fell, to 2.5 percent. So the other big change besides the 25% decline in Antisemitic incidents was a vast increase in the proportion of hate crimes that are directed at Muslims. 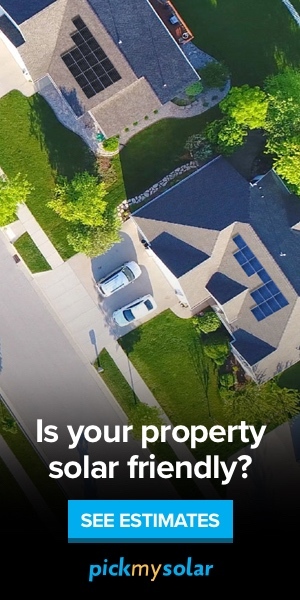 In 2013, it was 13.7%. In 2014 it jumped again, to 16.1%. That is, the proportion of religious crimes of bias that are directed at Muslims has increased by a factor of 8 since 2000. Note that according to most social science surveys, there are about half as many American Muslims as American Jews. Muslims constitute roughly 1% of the US population but about 3% of all hate crimes target them. We can see in these statistics some of the reason for which the most pond-scum-ish of the GOP candidates are running on anti-Muslim hatred. Their polling is telling them about this big increase in Islamophobia that is visible in the hate crime statistics. And rather than running away from the sort of bigots who commit these hate crimes, they are eagerly courting their votes. The fear that all right-thinking Americans now have is that the flame-throwing rhetoric of the GOP demagogues will put up the number of hate crimes nationally in 2016 and after, and that the proportion that target Muslims and Latinos will expand yet again. We should never forget that hate is not just an emotion displayed by an ugly set of the mouth at a rally; it turns into broken noses and broken ribs and burned-down buildings. Those are the genies the hate-mongerers are summoning for us.